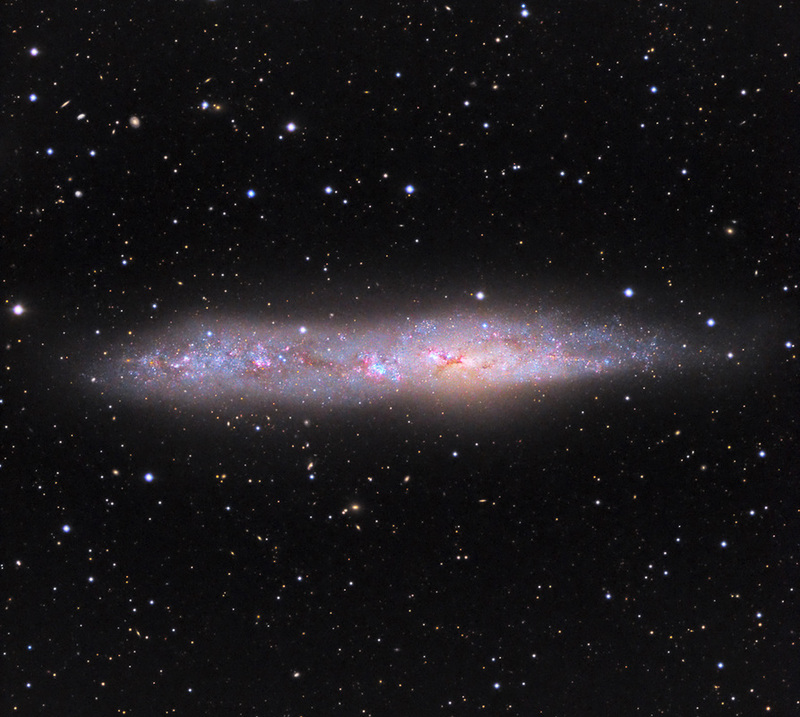 is one of the nearest members of the Sculptor galaxy group, which also includes NGC 253 and a number of others. The Sculptor group is considered the nearest galaxy group to our Local group. Recent consensus suggests NGC 55 is a Magellanic irregular-type galaxy. There has been considerable star formation occurring in its central region, as recently as the last 8,000,000 years. Large shell structures and plumes have been identified, signatures of recent supernovae and stellar winds from massive stars. This image data was acquired by my friend Brett Soames in NSW, Australia.